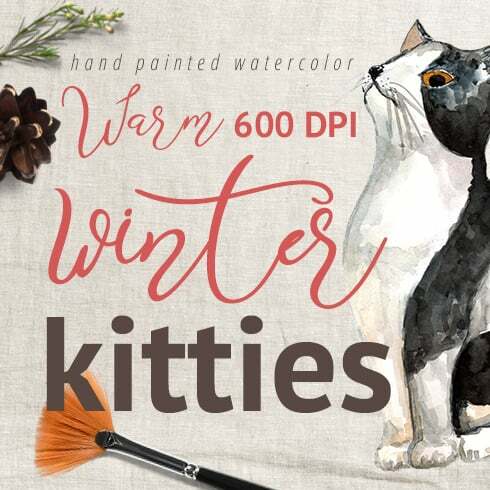 I am pleased to present you Warm Winter Kitties – watercolor hand painted set. It is dedicated winter time and lovely pet, which never let us freeze! Bright colors will give a wonderful mood and decorate any objects – postcards, textile, cups, posters, bags, stickers, T-shirts. Pre-designed pieces help you to create an awesome design quickly and efficiently. All the elements are supplied in raster PNG, 600 dpi format. PNG files can be opened with most photo editing software, but for designing Adobe Photoshop is required.Cards are supplied in raster PNG, JPG and PSD formats, 300 DPI. For opening PSD files Adobe Photoshop CS6 is required. Explain what is a a graphic bundle? If you are a graphic graphic designer taking care of multiple projects concurrently, you see the significance of the whole pack of design components at hand. Hunting for those elements one at a time, you may spend whole lot more cash and time as a result. To obtain all of the needed components in a single package, we highly recommend taking a closer look at graphic package deals. A bundle is a assortment of components meant for graphic design, valued for a large amount of money, however sold at a substantially reduced price tag for a short time. How could you save on deals? If you share this page via social media – you immediately get the 5% price reduction for any of the graphic packages you prefer. That is a super easy way to get a professionally developed tools for a lower price. The collections of elements accumulated into a graphics bundle are generally sorted based on their main objective and / or kind. There can be packages with icons, infographics, wedding invitation templates, business card templates and mockups, etc. Besides that, you will likely find graphic bundles especially for Christmas, Halloween or St. Valentine’s Day. What’s the point of using bundles? The advantages of graphic package deals for web designers are quite obvious. But if you are a newcomer to them and still have questions, the following information will be helpful for you. Along with a great number of the components within a single package, the selection gives you a chance to use different of them for a number of projects. Besides, the price is often greatly reduced which allows you to save some funds, yet have the complete set worth hundreds of dollars. MasterBundles could offer you a large assortment of different items. We sell not just graphics bundles but additionally roughly 20 other various kinds of items. Fonts, WordPress themes, mockups, icons, photos, illustrations, presentation templates and a whole lot more – on the MasterBundles.com you will be able to obtain most of the goods, necessary for a design. What’s a watercolor graphics package deal? 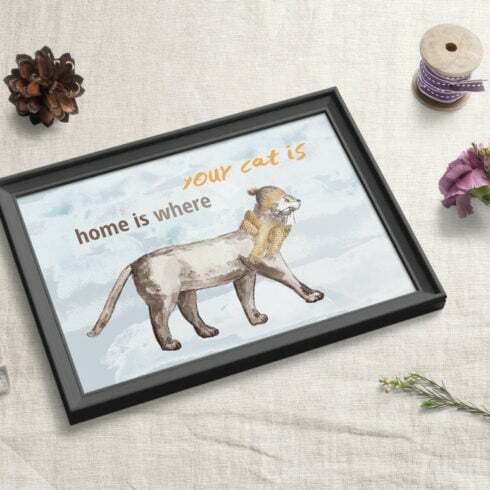 The watercolor package is found to be the lovliest novelty in design. Brushed by painters on the paper, the wonderful pictures become digitized and included in a package as templates for projects. 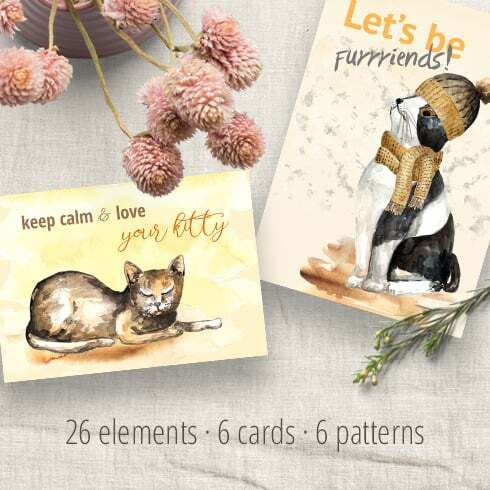 Watercolor components are great for DIY, blogs, quotes, greeting cards, posters and wedding invitations. All of the pictures are highly detailed and prepared for printing or digital use. MasterBundles.com is a site that collects top rated deals from over the web and allows you to buy the components you’ll need in your work for a lower price. Packages this website markets are limited in time, and that’s the reason why they are so low-priced. MasterBundles.com also has a great blog with the useful design news and features described.